You have reached the Melbourne SEO Expert who offers you landing pages that rank easy in Google. 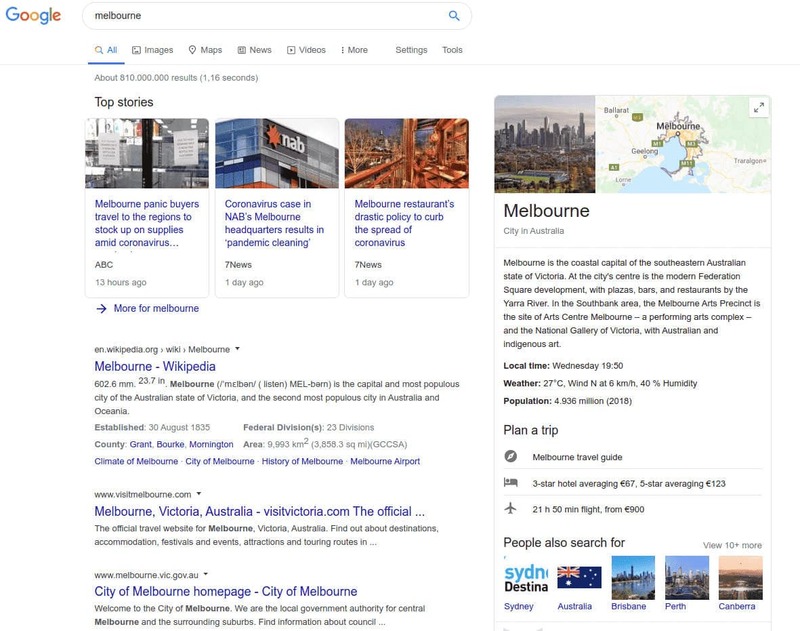 My pages wrap around a unique SEO strategy that gets you first-page results in Melbourne. Ted Politidis, SEO Expert and Coach; Ranks in many regions in Australia, the USA, the UK, and Canada for SEO terms; Masters Degree; 10+ years in Digital Marketing; Google Certified Partner; SEO Certified by the University of California, Davis. My strategy already grants regional rankings in Australia, the USA, the UK, and Canada. Over the last ten years in SEO I have perfected my method and eliminated old-school SEO tactics, i.e., backlink packages and blasts, article marketing, social bookmarking, link directories, guest posting. My landing pages depend on the content quality and optimized coding, a foundation that removes the need to build backlinks. Regardless, most SEO specialists use the tactics above that might destroy your pages. I invite you to stop copying your competitors and raise the SEO quality of your pages. Let the others push their pages to the limit; they only work to our benefit. With the advanced content structure, untapped content opportunities, we can generate leads from Google search, Google Maps, YouTube, and other platforms. Read below for details. This page and more on this site rank in Australia, the USA, the UK, and Canada for competitive SEO terms. Showing actual rankings are always challenging among SEO experts as there are only a few capable of achieving regional rankings. As it happens to rank, I am very confident of how my landing pages perform in SEO in any niche. You may invite me to work on your site at least for six months, and at the end of the agreed period decide if it works for you. Competitive niches or penalized sites need more optimization than the minimum of six months. Fill in the form on this page, and start the discussion. I intend to raise your page to the top performing actor in the local Google listings. You will stop running behind your competitors′ tactics that could harm your revenue. Note that most SEO packages in the market are full of hype with their quantitative methods (backlinks by the thousands, no quality). It is a no brains deduction that working this way will only disrupt the SEO. Instead, I offer you my White-hat strategy that grows your business safely, and you spend reasonably. Google discloses very little, if it confirms at all, its updates and nobody knows what tomorrow brings. In the same fashion, you can expect no help when they hit you with a penalty. Most SEO specialists are in the dark, missing the data, making assumptions, failing to fix the issues. Google affects millions of web pages with demotion or the Mobile-first Index (rarely indexes the desktop versions of pages any more). But with my pages, you are safe against all future Google updates. I have designed them to withstand the bad weather and rank higher after an update. Stop messing your SEO with backlink blasts, keyword stuffing, machine-generated (spun) articles, guest posting. Take the best pages in the market; they rank even without backlinks. Stop the experimentation, eliminate the risks. I offer you the best landing pages in Melbourne. I have also worked a winning SEO strategy that grants you fast and permanent rankings. Note that any Google change can only raise the performance of my pages, there will be no demotion. White-hat coding and a unique SEO mix create the best SEO (contextual) backlinks in the market. In Australia: Adelaide -- Brisbane -- Cairns -- Canberra -- Darwin -- Geelong -- Gold Coast -- Hobart -- Melbourne -- Newcastle -- Perth -- Sunshine Coast -- Sydney -- Townsville -- Wollongong.